With Christmas getting ever closer, we are just about ready to change out our writing centers to match the festive feel of the season! 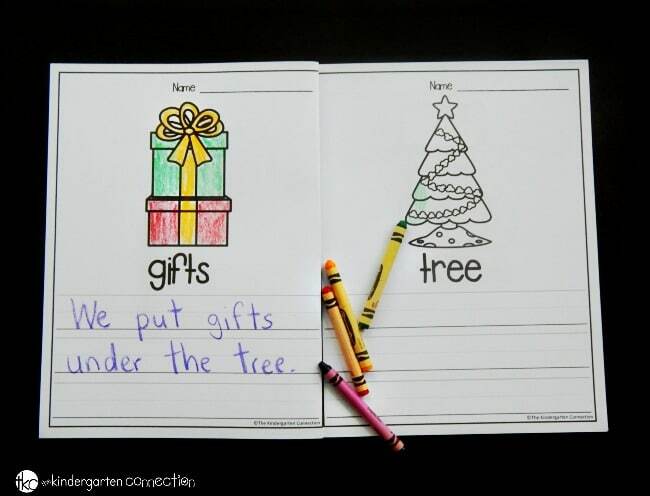 These Christmas writing centers are a hands on, engaging way to get kids reading, writing, labeling, and creating with Christmas vocabulary words. 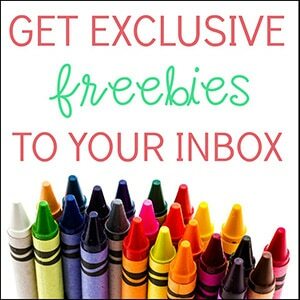 *Grab these on their own (below) or in our Writing Centers for the Year pack! By this time of the school year, kids are very used to our writing center routines. They know each of the activities and have usually developed a favorite, so they are happy to see which theme is next! 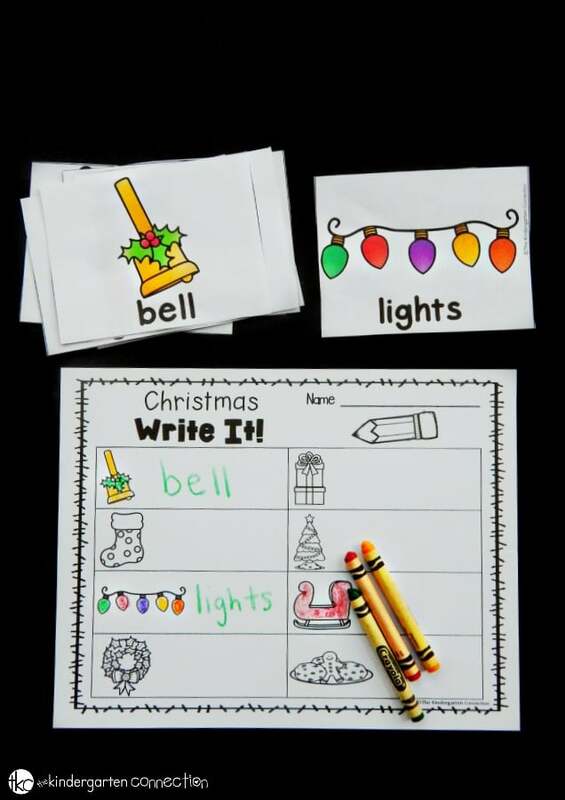 For the Christmas writing centers, kids will work on a variety of writing activities with the following vocabulary words: lights, tree, gifts, cookies, bell, sleigh, stocking, and wreath. 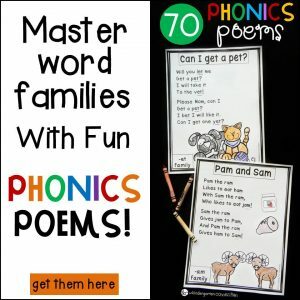 The vocabulary cards come 4 to a page (8 words total) and are a great size to accompany all the activities. I cut these and laminate them before adding them to the writing center. 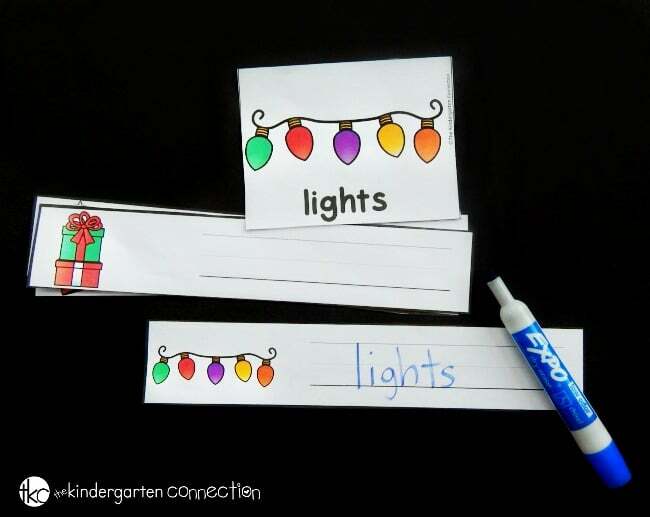 After laminating the writing strips, I place them in the writing center with the cards for kids to pick a card and then write the word using a dry erase marker. The “Write It!” books are great for labeling and can be used in the center or as a whole class if you put the words in a pocket chart. The kids pick a card, find the matching picture in their book, and record the word in their neatest handwriting. 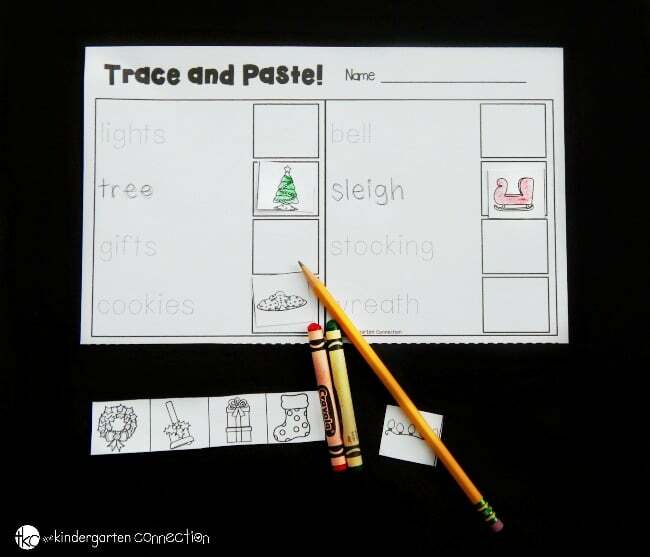 Trace and paste is a fun small group activity and great to work in some cutting skills as well. 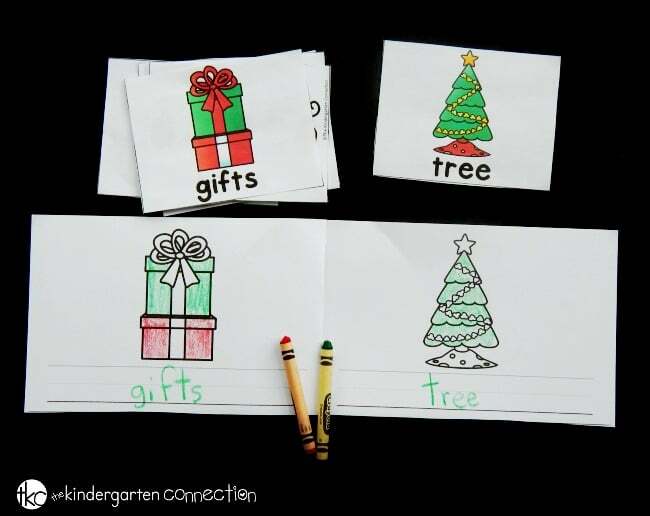 Kids trace the words, then glue the picture that matches, using the vocabulary cards as a support. One of the favorites is always the “Write It!” center, which is similar to “Write the Room”. You can put the cards around the room for kids to find, and they record them next to the picture. 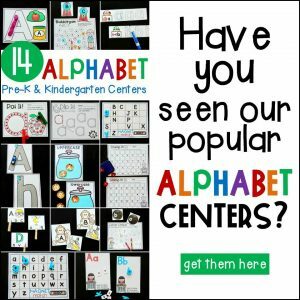 It’s also fun to place them in a sensory bin for them to search for, but you can even keep it simple and just keep them in a basket or tabletop pocket chart at the writing center. 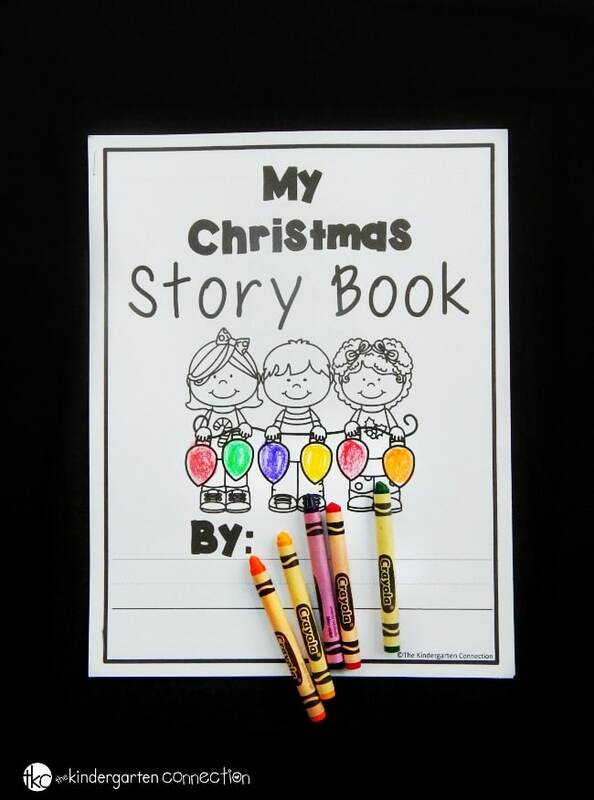 The story books in our writing centers are always a hit and a great ongoing project for a week or month. 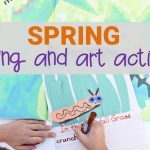 They are fun to create in during Writer’s Workshop, and then take home to show families. 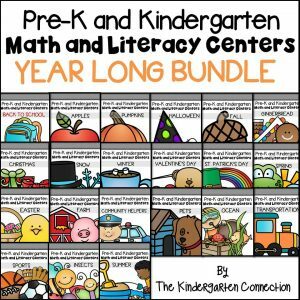 Each page has a vocabulary word for the theme, and then space for the kids to use their creativity to write a sentence or story around that word. Younger students or very early writers may just write the word several times, and that is ok! You can staple the pages together with the cover to make a book, or you can use separate pages as individual prompts or on a class bulletin board. 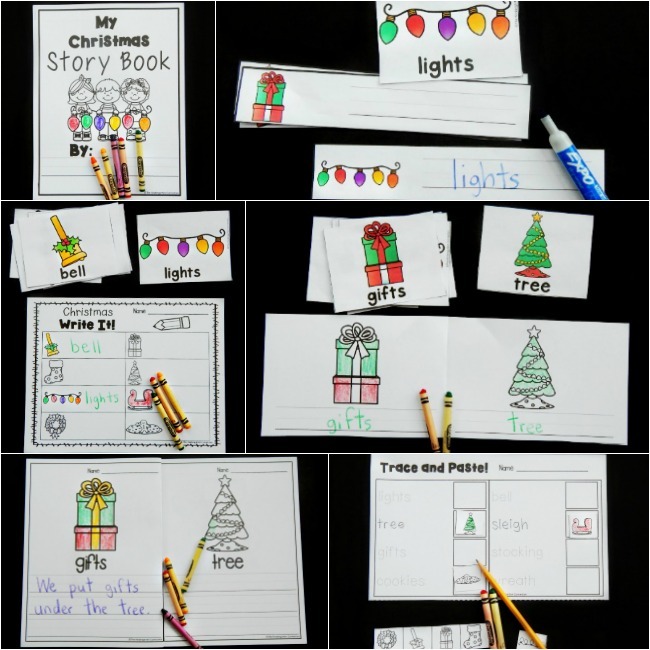 There are so many fun and festive Christmas writing activities in this pack! All the colored pages also come in black and white. You can save ink or print on colored paper to still give it a festive feel. 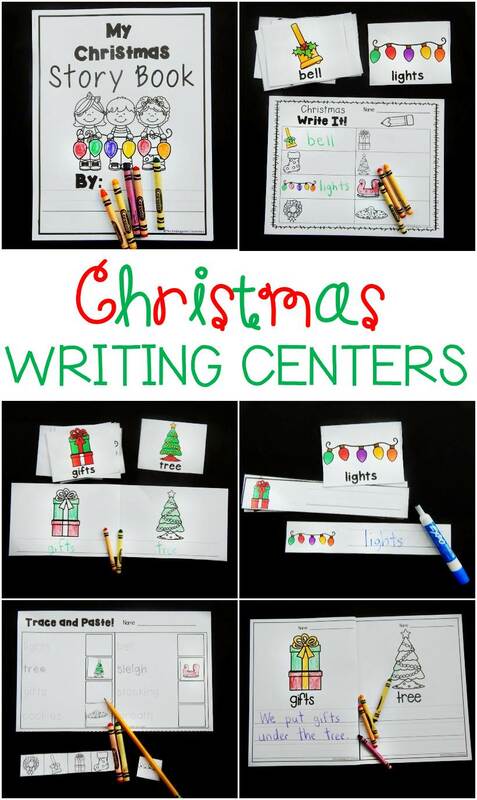 Grab the centers below and have writing centers fully done and ready to go for you and your class this Christmas!